... by sock madness! As mentioned, I have several birthdays coming up and they're getting socks! 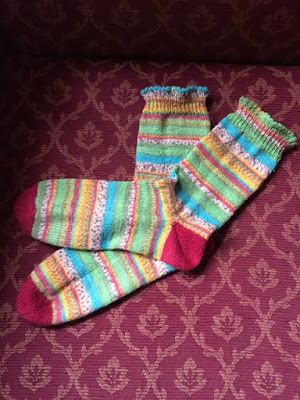 So look away for a while if you're a tatter and are bored by my socks (but please don't go away altogether as I will be back to tatting soon!). This is the pair from the previous post which is now completed. The heel I tried in the end is the "Fish Lips Kiss Heel" - what a name! Wool is Opal Rainforest "The Discoverer". 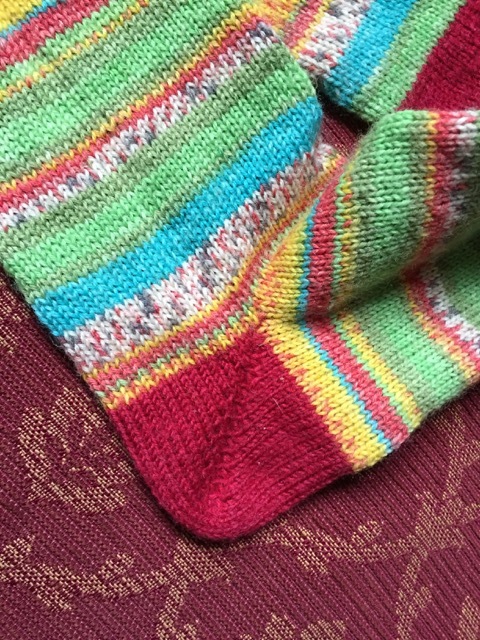 Here's a close-up of the heel. Not bad but I do find this type of heel doesn't give enough room at the instep. such as the German short-row. to try to improve fit in that area. Wool is Head Over Heels "Ingleborough"
Your heels look neat, to make pretty socks. I had to make adjustments to the afterthought heel too to get a good fit. I love your socks! I'm no good at innovating, especially with socks. If the pattern doesn't work as it is, it's not for me. I'm glad you're having fun with socks, because I am enjoying looking at them! Love the socks, they look beautiful. 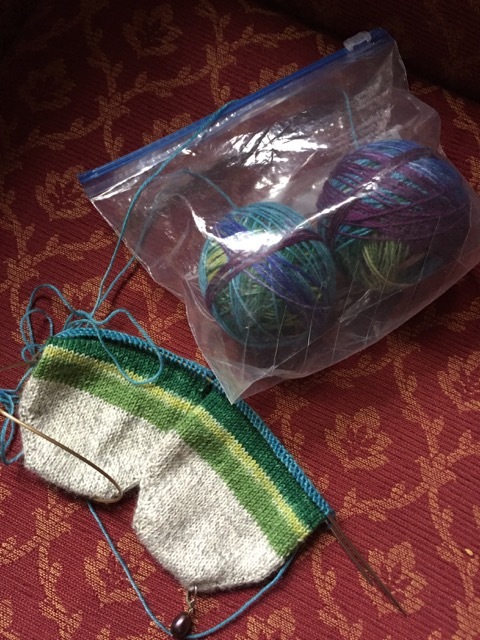 Your socks are beautiful, makes me want to pick up the needles again. Beautiful socks! I have never tried knitting 2 at once.